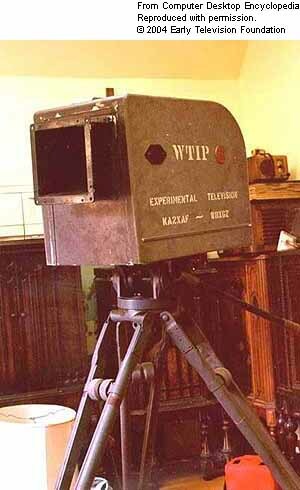 Who Invented the Video Camera? The complete history of the video camera is contained within only the last century or so, but as with many forms of modern technology, no one person is solely credited as having invented the video camera. John Baird, a Scottish engineer, was one of the earliest pioneers in capturing moving images for television production. However, his experiments were built upon others that had come before him and much of the technology employed in the evolution of the video camera was built upon his findings. So while it’s safe to say that Baird was a pioneer in video camera technology, it is unfair to say that Baird invented the video camera. The video camera as we know it today is able to record images and sound. The first demonstration of this capability took place on 14 April 1956. Ray Dolby, Charles Ginsberg, and Charles Anderson invented the video camera that was the first machine to record both image and sound. This invention sold for approximately $75,000 US Dollars (USD) apiece. Affordable only to major television broadcast studios such as CBS, who purchased three the same year, these machines remained professional devices for several years. Video cameras designed for personal use, now called camcorders, became available to the general public in the 1980s. These machines were bulky, heavy, and expensive, but proved to be efficient. Building upon technology that had been developed for years, major electronics companies such as Sony and JVC began developing new technology. These companies invented the video camera we now call camcorders. These devices were capable of capturing image, sound, and recording to a storage device all in one machine. n the late 1980s and early 1990s, those same companies who had invented the video camera for personal use began to miniaturize and digitize their machines. The camcorder became smaller and more compact and by the late 1990s, digital camcorders were the most popular form of video camera. Today, video camera technology is inserted into numerous portable devices including cell phones, PDAs, and digital cameras, capable of taking both still images and moving images as well as recording sound.